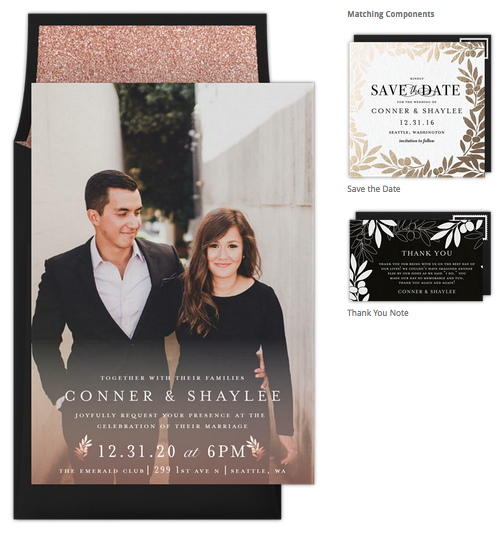 Should you send your wedding invitations in the mail, the old-fashioned way, or should you send them via email or through a website? I, for one, chose to use Greenvelope because it made sense for us. We live in NYC and most of our families live in Europe, and we both have friends that live all over the world, so sending everyone an actual printed invite would have been not only so expensive but a massive undertaking. Also, I loved the fact that our email invites included all of the information regarding our wedding day and the festivities that weekend. I have to say it was so much easier to manage and I loved the fact that I can see if people got the invites, how many RSVPed, how many didn’t, and etc. And having said all this I still printed 10 paper invites to give to our parents and to have one to keep as a memory. Price: Creating an online invitation is generally less expensive than mailing them out but it all depends on your guest list. If you have a tiny guest list, it may be inexpensive to send the invites in the mail. It could be totally worth it! If you have ten guests, you could even hand make and customize each invite. If you have 300+, that’s a different story. Depending on your needs, it may be reasonable to send out invitations. If you have a large party, then it will be more costly. It all depends on how you want to spend your wedding budget. Aesthetics: For some, physical invitations are special and important. If you feel this way then you definitely should have tangible invites made. That way you can have it as a keepsake, and your attendees also. For others, that detail is less important. Online invites are becoming more popular. Even though you can’t hold them in your hand, they can be quite beautiful. With online invitations you can be adventurous and can incorporate multiple photographs and animations. You can also make an interactive website as your invitation. Guests’ Locations: For me, an online invitation just makes much more sense. 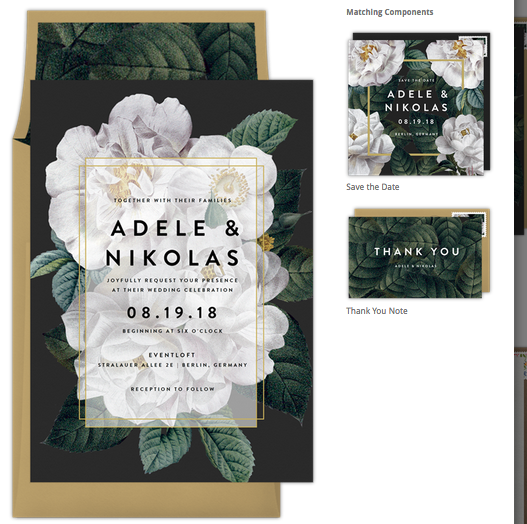 It would not be cost-efficient to mail beautifully-designed invitations across the United States and all the way to Bulgaria. I’d rather use that money towards other aspects of my big event. Consider postage, in addition to printing prices when coming to this decision. The Knot You can personalize your URL, which makes it even easier for your guests to access the details anytime they so desire. No need for them to wait until they are in front of the fridge staring at your invitation tacked up on it with a magnet. E-vite For the very low-key wedding, an e-vite with RSVP tracking may be a perfect fit. Some of my friends are planning laid-back weddings and they don’t want to spend any money on wedding invitations. However, they still want to lay out the details to everyone. GreenVelope This site is easy to use and a features personalized digital envelopes, liner, and even cute digital stamps. Punchbowl The invitations are simple and elegant and you can track and manage your guest list from your smartphone. Hopefully I’ve helped you come closer to deciding what kind of invite is right for you.